Who says wedding cakes have to be white? You could have a brown or a red themed wedding cake too! It can then be accordingly decorated with flowers, ribbons, and more! However, remember to keep it simple and not go overboard whilst experimenting with your cake. You may simply end up with something weird and unwanted. 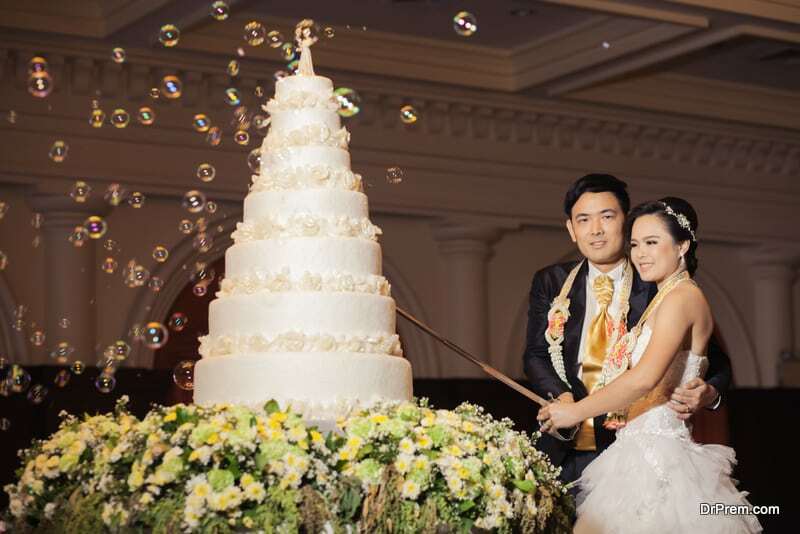 Take a look at lots of wedding cake pictures before you decide on the right one. At the end of the day, it is a wedding cake! While wedding themes and styles are endless, it is ideal to match the wedding cake with the general theme of the wedding. For, even though it takes up a very small space, the cake is the core of the occasion and not to forget, the most sought after one! After all, who can resist the four layers of sweetness, neatly put one upon the other? This cake, needless to say, is for those who are the conventional types. These are the kind of people who would rather stick to the rules than get into trouble. This couple would go with the regular old white cake with the regular old bride and the groom on top of it. The only deciding that this couple does is probably whether they want three layers or four layers. Nothing too extraordinary. However, even this plain, old white cake requires a lot of planning and proper work before it has been made to perfection for the D-Day. The regular, plain old baker is probably having a good day! A cake could be one of the most fashionable wedding decorations! Well, you could do all kinds of things with the cake, from making it a decorative purple and flowery to cutting down on the layers to add more style. You could even do something as crazy as color coordinating the cake and the decor! However, make sure it doesn’t look tacky. 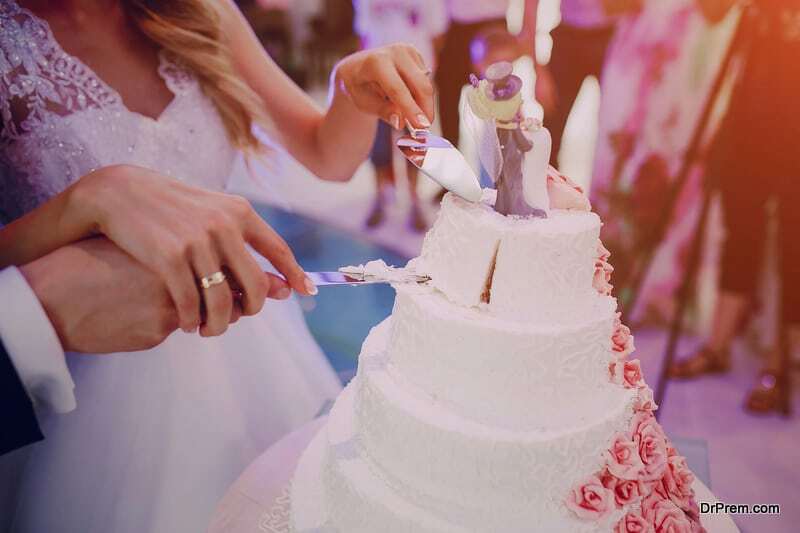 The gift of a wedding day occurs only once in a lifetime; and hence, it is extremely important that everything including the cake should be in impeccable order. Moreover, with fashionable cakes, you need to ensure that the style of the cake doesn’t compromise with its taste. It needs to taste as yummy as it looks! If you’re one to believe in ‘variety is the spice of life’, then, the tower cakes are for you. Each layer can be of a different flavor and if you want, even a different color. It can be a very large 7 layered cake or a small and thrifty, 5 layered one. Each layer styled to perfection! This will not only add flavor to the wedding, but will also keep the guests happy. For, every individual has unique tastes. One could even place different confetti atop each layer and it would all be a lovely affair. Thus, if you’re into grandeur, the tower cake indeed is for you! Now, unless you have any experience in baking, this is not an expedition you should take upon. Unless and until, you have a fair idea of how to bake the cake, you definitely shouldn’t design your own wedding cake. Moreover, you’re the one getting married and hence, it is quite ideal to leave this to a professional than to take it upon yourself. However, if you’re all determined to get down and dirty, then grab a baking guide and begin quickly. Ensure that you follow everything to the T and end up making a ravishing cake that’ll leave everyone asking for more! 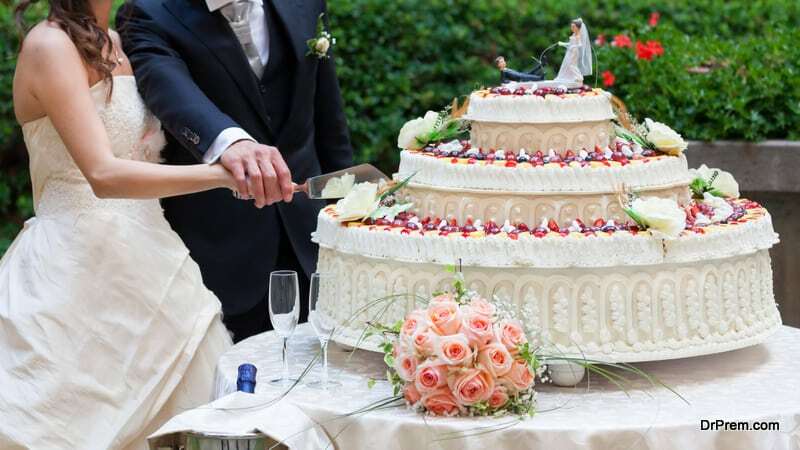 It doesn’t matter what kind of wedding cake you’re getting as long as it is making everyone happy and you’ve had a great wedding ceremony that’ll lead to a long and happy marriage. After all, you’ve found the love of your life and are about to embark upon a remarkable journey! Hopefully, one that you’ll cherish for the rest of your life.